Conference attendees have been buzzing about the ads, which have adorned shuttle buses from the hotels, have been digitally projected across the Fashion Show Mall next to Treasure Island hotel and take up small billboards in hotel hallways, including the Venetian, where AWS re:Invent takes place. Andy Jassy, senior vice president of AWS, addressed the ads during today’s keynote address. 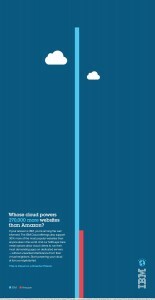 No one would argue that IBM has a bigger cloud business than AWS, he added. 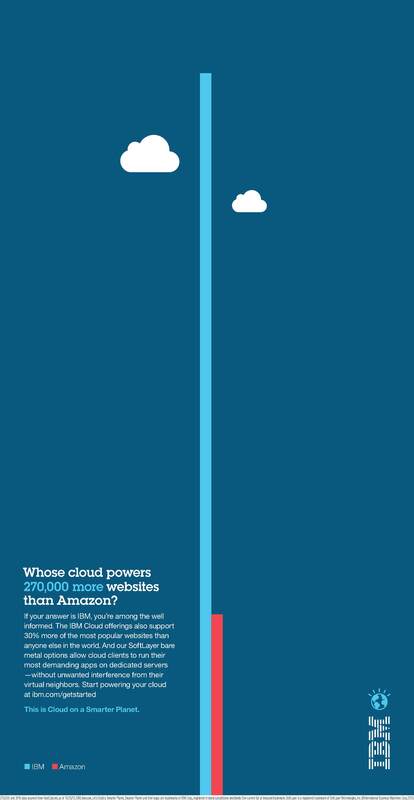 This ad campaign highlights how the cloud market is heating up rivalries among vendors. As the industry and the products mature, vendors are looking to rise to the top, fighting against competitors for enterprise customers and market share.